One million school runs and counting...The Maxi Micro Scooter is the one that transformed the school run. Born from the recognition that children continue to seek the thrill of the scoot beyond the age of 5, Anna and Philippa asked Micro to develop a larger version of the 3- wheeled classic Mini Micro Scooter, to last children throughout their primary school years. Generations of children now prefer the intuitive lean to steer mechanism offered by their Maxi three-wheeler, which provides both speed and agility. 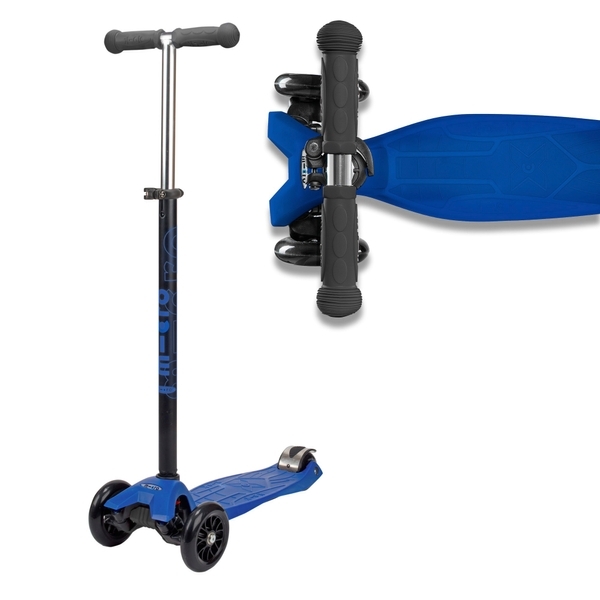 Thoughtfully designed, with typical Micro attention to detail, the result is a scooter that offers exceptional value lasting well beyond the countless Micro miles clocked up each and every day on the school run. This is the must-have scooter for the Micro generation. EU Warning: To be used under the direct supervision of an adult.